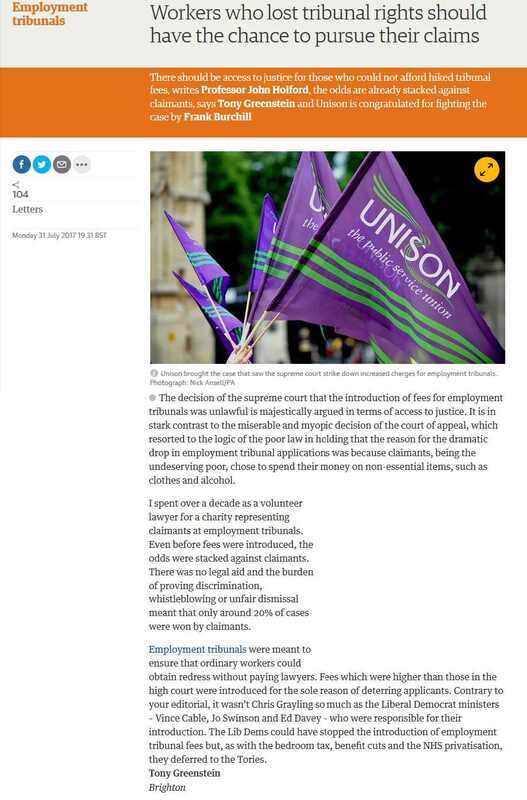 Three weeks ago I did a post Supreme Court Abolishes Employment Tribunal Fees - Thank the Lib Dems, Jo Swinson & Vince Cable for introducing them and also sent a letter into the Guardian. Unfortunately I must have missed it and it has only just been pointed out to me. So until I get a hard copy, I will have to make do with a copy from the Internet!